For years the UK had several condiments that were traditional, tried and true, but now as fusion food has taken a firm grip, we are seeing the rise of the exotic. While once upon a time, no household worth its salt would be without ketchup, brown sauce and a pot of mustard, with different fusions arriving at our shores, it has brought to the fore the quest for new taste. High street brands have normalised what was once foreign cuisine and have also urged the trend for people wishing to recreate that in their own homes, but there are very few people who would spend the time and effort to cook up a batch of spicy sauce. This means that the normalisation of the exotic has gone even further and is now available on supermarket shelves allowing enterprising cooks to have a taste of different cultures. Piri piri sauce is now widely available whereas a decade ago it would have been unheard of, and others are reaching new heights in their flavour adventures. So how have the traditional condiments adapted to their role as old and fusty after-thoughts? In the millennials’ quest for new experiences, fresh cuisine and fusion restaurants are popping up every day. This means beyond perusing unfamiliar menus, guests are also liberally applying themselves to the bottles of condiment that litter their tables and concocting different ways to incorporate them into their home cooking – so who are the up and comers? This Thai dipping sauce mirrors the popularity of the cuisine itself. While once the UK was enamoured with Indian food, the subtle flavours and clear broths of Thai cuisine have found a place in the hearts of the British public. This spicy and garlicky condiment has become such a staple that high street chains are using it is an addition to new dishes and some brave mixologists are even integrating it into cocktails. Hailing from Korean cuisine, this sauce has found a home with the health-conscious. So many condiments are high in sugar and salt to help preserve, however this fermented sauce avoids any extras. This tasty collection of fermented cabbage and vegetables is somewhere between crunch and soft, salty and spicy. It is also suitable for vegetarians making it an almost instant hit. While houmous may be a staple for the vegans and vegetarians, Tahini is an interesting alternative to all those hum drum chick peas. The savoury sauce made of ground sesame seeds is a staple of Mediterranean and middle eastern diets and its popularity is proving it is far more than a fad. Though some are eager to get their hands on the next exciting sauce, sometimes only a bottle of ketchup will really hit the spot, but that does not mean that traditional condiments are taking their relegation lying down. Whereas at one time a single brand dominated the British condiment market, people realise that innovation is the only way to survive, and that includes the humble tomato sauce. Instead of relying on nostalgia, the condiments we know and love are undergoing their own change and some people are approaching them with a craft attitude. Sauce shop has elevated the side kick of chips by changing the base ingredient - the tomato. Instead the company’s beetroot ketchup is undeniably cool and hipster while still being familiar and approachable. Biona is behind the makeover of the much loved and reviled barbecue sauce. Nobody can deny that barbecue sauce is not entirely good for you but with Biona’s organic ethos and the sauces suitability for vegans, we may see it slipping back into a few more events this summer. 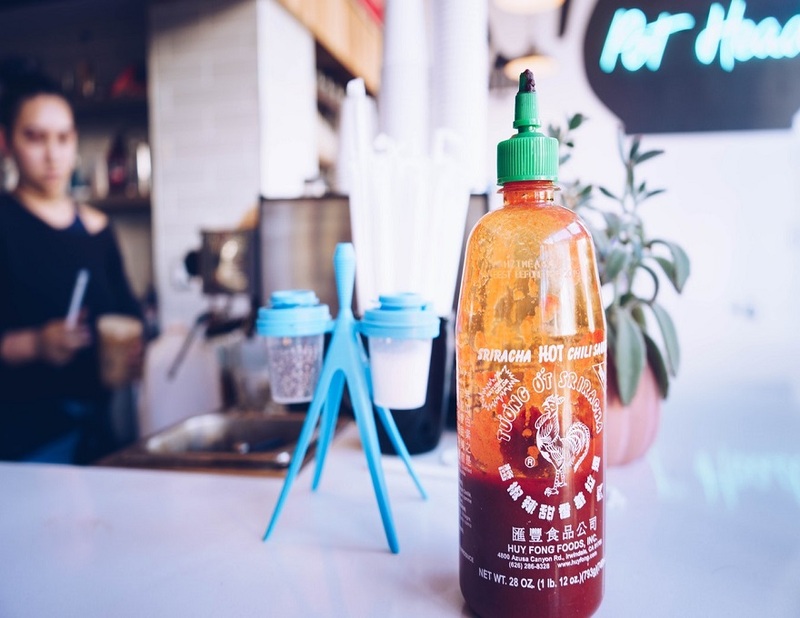 So while there is an appeal to the unfamiliar bottle in the new Vietnamese restaurant and it most certainly will be an enormous addition to any home cooking, sometimes the classics cannot be replaced. This doesn’t mean that they can’t be improved upon, though. By applying a new craft approach that better fits with lifestyle choices of the modern consumer, there is still a place on the table for a little ketchup.